This case explores the question of whether there was ever life on Mars and in doing so explores how we define life. The backdrop for the case is the 1996 revelation by NASA of evidence of life on Mars. Through a fictionalized account of the events, the case explores what constitutes life as well as the ethics of announcing scientific discoveries directly to the public instead of following the traditional process of peer review and publication. The protagonist of the story is a young planetary geologist who must decide whether or not to join his colleagues at a press conference announcing the "discovery." 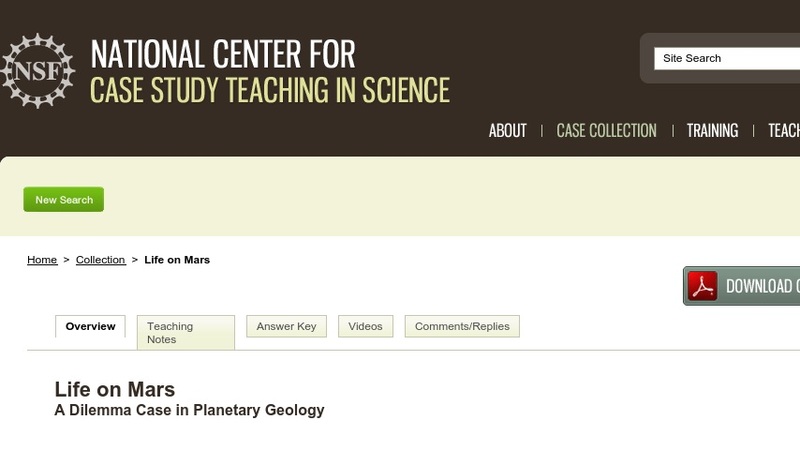 Originally designed for a course in planetary geology, where it was used in the last class in the semester as a capstone experience, the case could also be used in a general biology class to discuss the characteristics of life.